These Veterans Sleep Apnea Appeals Stats Will Shock You! More and More Veterans are filing claims for service connection of Sleep Apnea. Why? There are a couple reasons, I think. First, the 3 hallmark injuries of the Persian Gulf Wars in Iraq and Afghanistan – TBI, PTSD, and Military Sexual Trauma – all have strong and direct causative connections to Sleep Apnea. Second, conditions that are known to result from Agent Orange exposure are now known to cause Sleep Apnea. Third, I have found over 39 Medical Conditions – all of which are common in Veterans – that are known or suspected to cause Sleep Apnea. While more and more Veterans are filing claims for service connection of Sleep Apnea, more and more Veterans Sleep Apnea appeals and claims are being DENIED by the VA Regional Offices and the BVA. These Veterans Sleep Apnea Appeals Stats Blew Me Away! According to Lexis’ legal research cite, the BVA issued 1845 decisions in Veterans Sleep Apnea Appeals between April 30, 2013 and April 30, 2014. 24% of those Veterans Sleep Apnea appeals were Granted. 76% were Denied or Remanded for more evidence. That means that 3 out of every 4 Veterans are spending years in the VA Hamster Wheel trying to prove their Sleep Apnea service connection claims and appeals! Veterans NEED Information and Education to Improve their VA Sleep Apnea Appeals. When I saw similar statistics back in 2013 – I decided to do something about it. 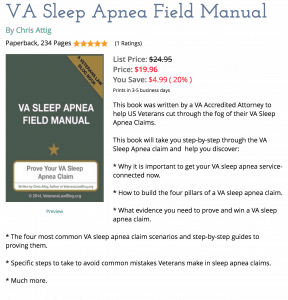 I decided to write a Veterans Sleep Apnea Appeals and Claims Guidebook. 9 Months Ago, I started writing the Veterans Sleep Apnea Guidebook. I reviewed BVA and Veterans Court Decisions and Veterans Sleep Apnea Appeals. I talked to medical doctors and sleep specialists about the causes, symptoms and types of Sleep Apnea. I talked to Veterans and asked what help they needed in their VA Sleep Apnea Appeals. Put it to Rest! Your VA Sleep Apnea Claim. 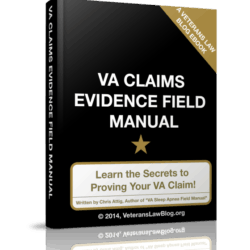 What will you learn in this Veterans Law Guidebook? How to Put it All Together – the 5 Most Common Sleep Apnea Service-Connection Scenarios. 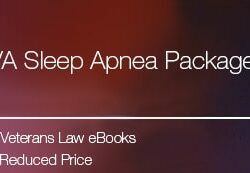 FREE Updates – If you purchase a copy of the Veterans Sleep Apnea Guidebook, I will send you a FREE updated copy any time I release a new edition (usually 2-4 times a year). 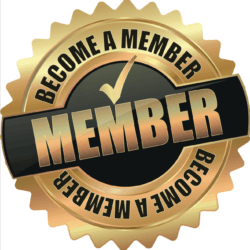 FULL Refund – If you offer me feedback that I can use to make theVeterans Sleep Apnea Guidebook BETTER, I will refund your entire purchase price. I put in for a claim but the VA saying it was not service connected. Once you understand what service connection means, you’ll have to start getting evidence to prove it. Click here to start learning what 5-star evidence is.